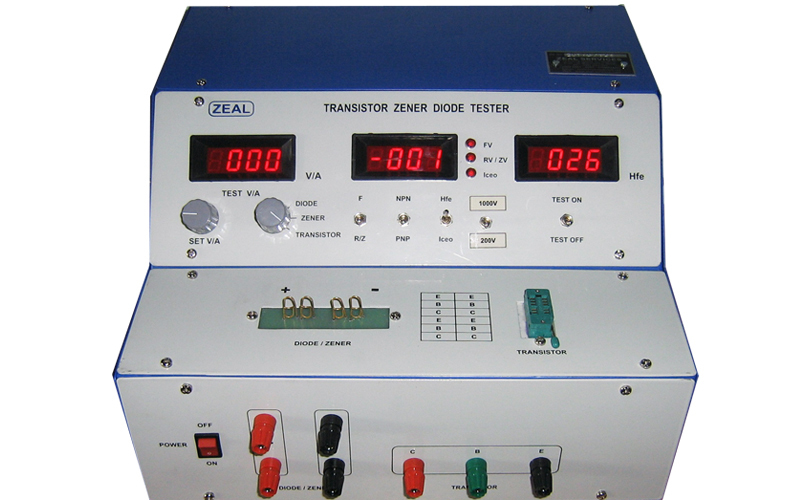 We are Manufacturer, Supplier, Exporter of Transistor, Zener Diode Tester and we are also specialized in Calibration Services ( Calibrator ). Our setup is situated in Pune, Maharashtra, India. Test Voltage Range 2 to 1000 V DC at 20µA max.